Within the next decade or so, India plans to become the new super power of sport. Is this a pipedream or reality? 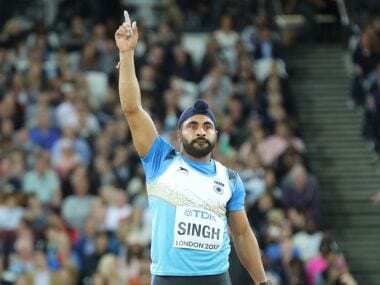 Imagine the scenario where an Indian sprinter is in the finals of the 100-metre sprints at the 2028 games, looking to break Usain Bolt’s record. Or, for that matter, an Indian long jumper who has cleared nearly nine metres in the run up to the Games, and a few, top-class long distance runners, who are vying for gold in the 5,000 and 10,000 metres, besides the marathon. 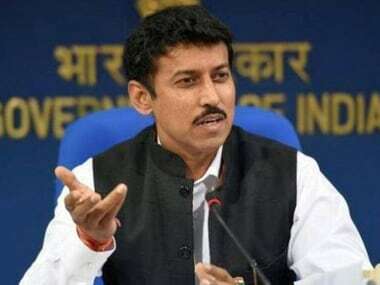 Sports minister, Colonel Rajyavardhan Singh Rathore believes that the ‘Khelo India’ programme launched by the Government of India in 2017 can take us there. Khelo India’s stated aim is to see more and more athletes on the podiums at the 2024 and 2028 Games, and at other international events like the Asiad and the Commonwealth Games. If, however, the Indian tricolour has to rise more often at international events, then the Khelo India programme has to create a sporting revolution in the country; the way Indians look at sport has to change. And that, my dear friends, is a big ‘IF’! The million dollar question is, therefore, can the sports minister sell this dream, and his passion, to 130 crore Indians? Will it be possible for him get this message across to the people of 29 culturally diverse states in India, where almost 20 percent of the population still struggles to earn two square meals a day? Colonel Rathore, who won a silver medal at the 2004 Games in the ‘double-trap’ shooting event, is a former army man and was appointed the country’s sports minister – with additional charge of youth affairs – in September 2017. Soon after assuming office, he allocated a budget of Rs. 1.756 crore for his pet initiative, for the period 2017-2020. 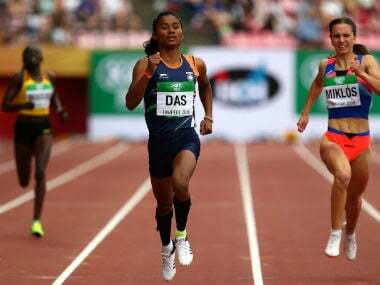 Under the Indian Sports Scholarship Scheme, the minister has plans to award a thousand annual scholarships, worth Rs 5 lakh each for talented athletes, for eight years. This will help prepare them for international competitions. He also has plans to adopt 150 schools and 20 universities from across the country to become hubs of sporting excellence. The larger aim of the Khelo India programme is to provide 20 crore children, in the age group of 10-18, the opportunity to take part in sporting activity; to play. Besides the Khelo India School Games which were held recently, in the first week of February, events for university level athletes are now on the anvil. A working group to identify talent, and recommend names for higher level of training has already been appointed. This committee consists of Arjuna Awardees and Dhronacharyas. If handled efficiently, and with an iron hand, Khelo India can be the game changer that Indian sport has been looking for. In fact, many believe that this programme should have been implemented many decades ago. The sports minister, in all his wisdom, will however be aware that for such a scheme to be successful in India will not only take a lot of effort and money; it will also need determination, administrative acumen and a hell of a lot of integrity at every level. There will be many a slip between the ‘cup’ and the ‘lip’, literally. Indians are used to looking at any government scheme with a lot of suspicion. Fudging of ages and other documents, favouritism and nepotism, and large scale corruption have all been part of sport in the past. Colonel Rathore’s team will, to begin with, have to work on shedding that negative image. Everybody in the country knows that the Khelo India programme is a personal dream of a sports minister who has won an Olympic medal. In a democratic set up, how do we know that he will continue to head this initiative after the 2019 general elections? If there is a new sports minister – from BJP or any other party – will the person continue with the Khelo India dream? Even if the person does, will the passion be the same? Sports, whether we like it or not, is a state subject under the constitution. Efforts to move it to the concurrent list, over the last many decades have failed. Therefore, to a large extent, the success of the Khelo India programme will depend upon the various state governments embracing the programme as their own. Sports departments at the state level are usually corrupt, lethargic and suffer from a lack of vision. Can the sports minister, overnight, get these cobwebs cleaned up and drive ambition into these, generally slack, sports departments? Tough ask! Rs.1,756 crore is a lot of money. Devious and ‘creative’ officials can easily discover ways of diverting amounts their way. “People will have to account for every rupee spent,” the sports minister has said. Yet, there are bound to be scandals, and misuse of funds and power, at the lower levels of governmental hierarchy. Colonel Rathore will be aware of this and will know which among those Arjuna Awardees and Dhronacharyas, in the TIC, have contributed to Indian sport on an individual level. If they haven’t, they shouldn’t be warming chairs in committee rooms and be living off the government’s largesse. To get schools, colleges and community involved in sport, there shall have to be a large scale investment in sports infrastructure at the district levels. Regular events shall have to be held to encourage mass participation. Sports departments of the various states shall therefore have to work overtime – and lose a lot of sleep – to get things done. A competition structure that involves schools, colleges and the local communities, in individual sports and team games, will have to be put in place. This will require expertise in sports and games as well as in event management. No one knows better than the sports minister that the making of a top-class athlete requires technical, physical and mental preparation. It is teamwork of the highest order; something akin to the pit stop team of a Formula 1 race in motorsport. Do we have enough of such trainers, coaches and mentors to help talented athletes succeed? While the minister works on the minutiae of the Khelo India project, he may realise the fact that if sport has to grow in the country, then ‘sports’ has to be recognised as an industry. The earlier the better! Sports goods, sports infrastructure, sports tourism etc. can earn a lot of revenue for the country. Sports tourism, by itself, is incredibly underutilised in India and can be a huge money-spinner. Finally, a thought in passing: If Rajyavardhan Singh Rathore wants the Khelo India Project to be another of those brilliant ideas that failed because of wrong implementation, he can involve his sycophants. There can be no better ‘finishers’ than them, the world over!